Did I shock you? I shocked me too! If you haven't picked up on it yet, I'm a bit of a perfectionist and have slight OCD tendencies which means creating this imbalanced, non-perfect gallery wall was HARD for me! I'll be honest and say that it was hard for me to let go and wing it but you know what? It was actually FUN to not over think things and I really started to like eyeballing the picture's placement after a little while! Moral of the story? I survived and the wall looks good! Most of the pieces in my gallery wall vary in size from small and medium, to large and even x-large. I tried not to put similar sized pieces next to each other (unless they were part of a group like the abstract prints above) because I wanted to have an even mix of differently sized pieces on either side of the arrangement. 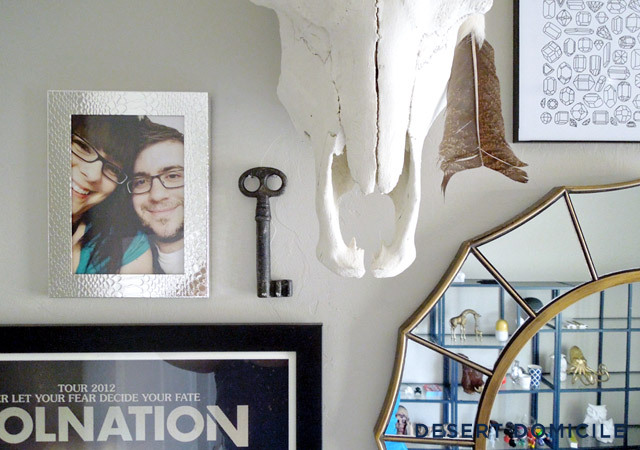 Note: this tip applies to both the frames you choose and the pieces of art you put inside of them. All of my frames are black with the exception of a few canvases and clear acrylic frames. While they're mostly all the same color, they're not all the same style. I also tossed in a sliver frame that's different from all of the others because it holds a picture of my boyfriend and I and we're special, just like the frame! If you have a mirror or an irregularly shaped item like a sconce, a monogram or a blue French horn, hang it on your wall! The item's shape will help break up the monotony that a grid of frames can sometimes cause and give the wall some more dimension. Plus, it'll add extra interest to the overall arrangement! 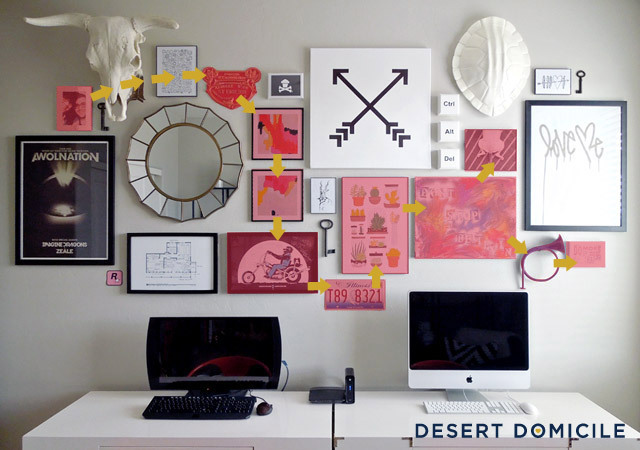 All of the pieces you hang on your wall don't have to have a special meaning though, they could simply be things you like! 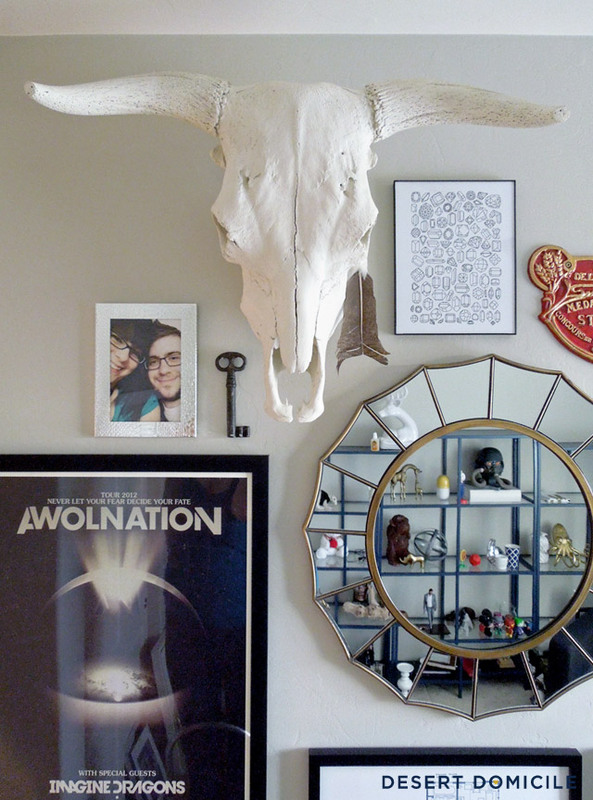 However, incorporating meaningful things into your overall arrangement (like the cow skull from my late grandma) helps take the "specialness" up a notch! While the majority of my art that's on the perimeter of my gallery wall is black and white and/or neutral, the rest of the pieces towards the middle are colorful. I didn't initially intend to arrange everything this way but I'm happy with how it all turned out since the colorful pieces help draw your eye across the entire wall! 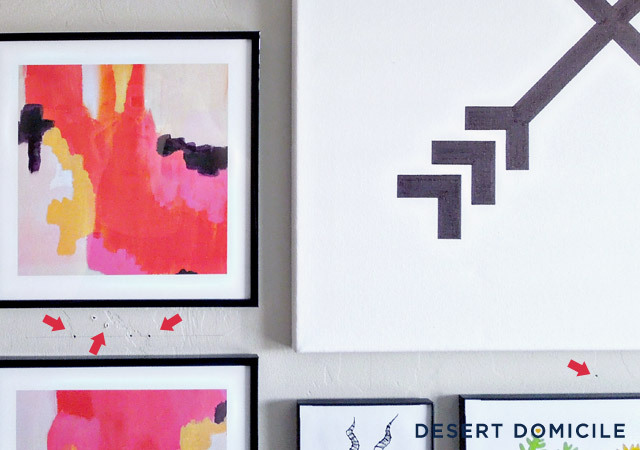 Speaking of your eyes – eye movement is key in any gallery wall arrangement! Just like in styling, the last thing you want is for your eye to stop on one area because that means some of your hard work isn't being seen. 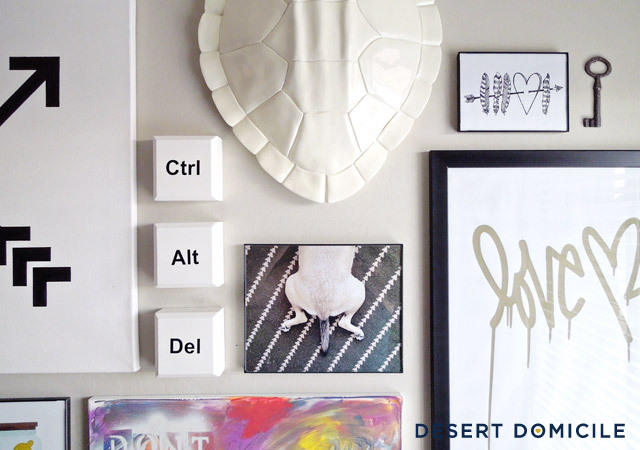 Don't be afraid to put holes in your walls! 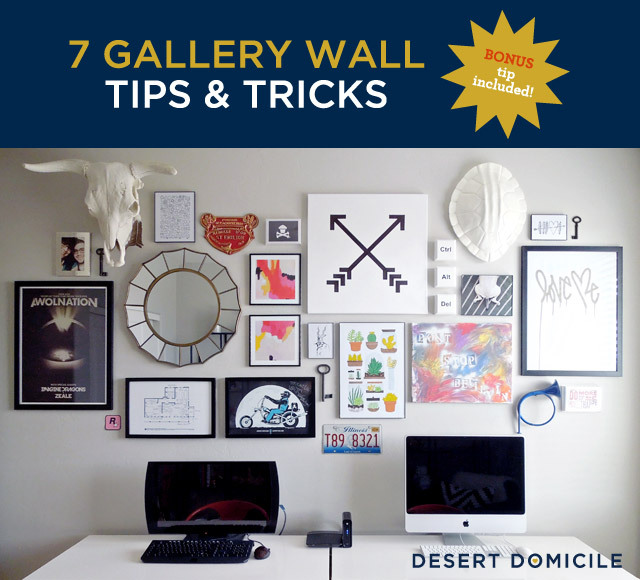 This tip may not apply to everyone depending on what type of walls you have and if you rent vs. own but if you own your place and have basic drywalled walls like mine, don't be afraid to put holes in them! Really! What's the worst that could happen? You have to patch a few holes and touch up some paint? No big deal! 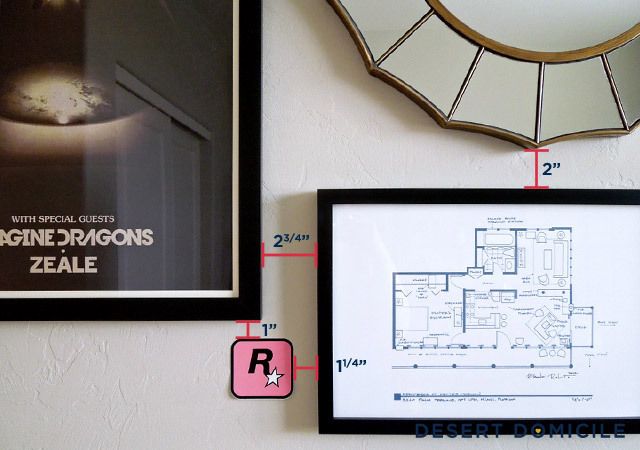 I'd rather put 50 holes in my walls while trying to figure out an art arrangement than live without any art on my walls for fear of making a placement mistake or having to do a few minor touch ups! 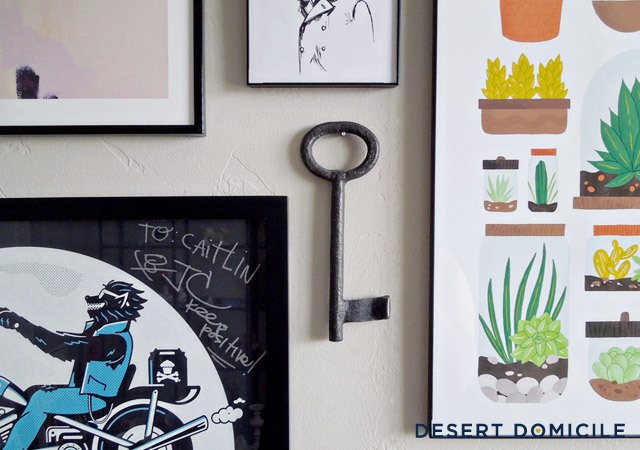 Do you have a gallery wall? What other tips or tricks would you add to my list? I love your tips! I think what makes the wall work most of all is that you still have straight lines throughout the layout. I used to work in an art gallery and that was the one main rule we went by. I have a tip for you. I did a gsllery wall in our foyer and didnt want all those holes (mostly because I move stuff around often) so I used those 3M Command picture hangers...those things are magic!! Great tips! Thanks for sharing. I think it's hard to explain the styling process because a lot of it is done because things look right/don't look right, but you just did an amazing job of it! Looks great! I love the flow of color. Great tip, Rosanne! A few of my pieces have Command strips attached to them because they kept slipping off the nails they were hanging on when I'd hammer another nail into the wall haha Those things really are magic though! One thing I wish I had done with mine was to go a little tighter in my spacing! Really good tips! I am terrible at gallery walls because I'm the opposite of a perfectionist. I just like to throw it up there and move on. 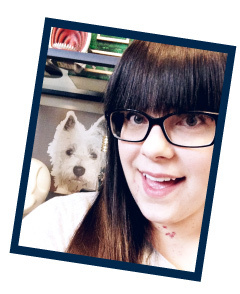 Your tips will help me the next time I get brave enough to try it. Love the tips! Our walls are made of this rock lath (I think that is what it is called) so essentially it is like a sheet of concrete with some plaster or something smoothed all over it. If we aren't careful with it, it will crumble (which could be fixed) so we always drill a hole first and then put the nail into it. We never just hammer straight in. Annoying but we're use to it now. Solid tips. 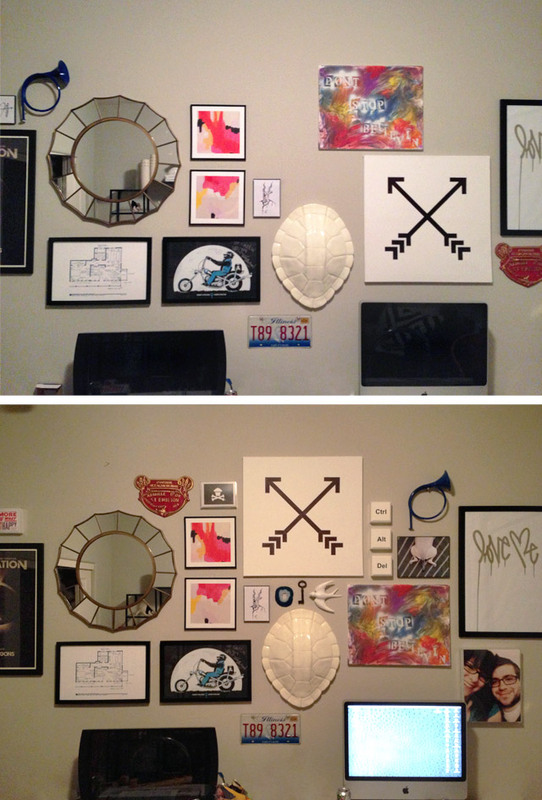 I LOVE the way your gallery wall turned out. It's perfect. Well hello, gorgeous! 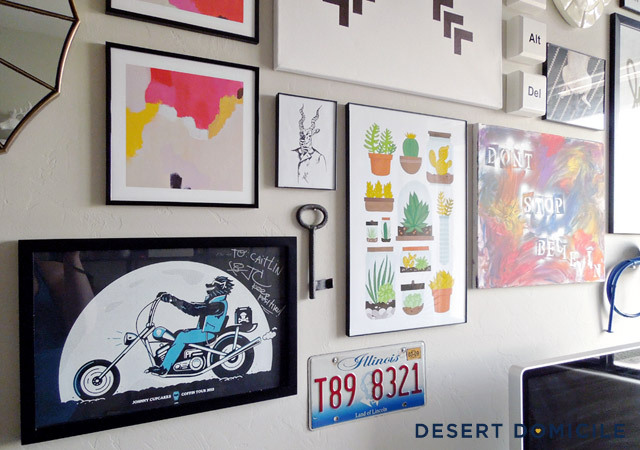 Your gallery wall rocks! 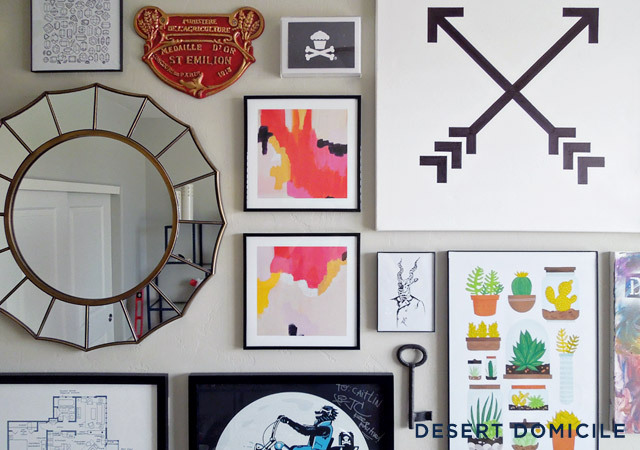 This is a great gallery wall! Fantastic job!